The PS2 is widely regarded by many as being the console with the best library of video games ever. Which is why even now, in 2019, we're still getting remasters and re-releases of games from that era. Titles such as Devil May Cry, Ratchet and Clank, Shadow of the Colossus, and Jak and Daxter (to name a few) have received the HD treatment over the years. They've benefitted from the more powerful hardware that makes their visuals shine and more presentable for newer gamers. While a large selection of the PS2's greatest games have found their way to the current crop of consoles, some series like Onimusha were left out in the cold — until now. Capcom has dusted off the first game in the series, Onimusha Warlords, and given it a fresh coat of paint while retaining the same title. Onimusha: Warlords is out on January 15 for the PS4, Xbox One, Nintendo Switch, and Windows PC. We played it on the Nintendo Switch to find out if there's more to it that just shiny new graphics. 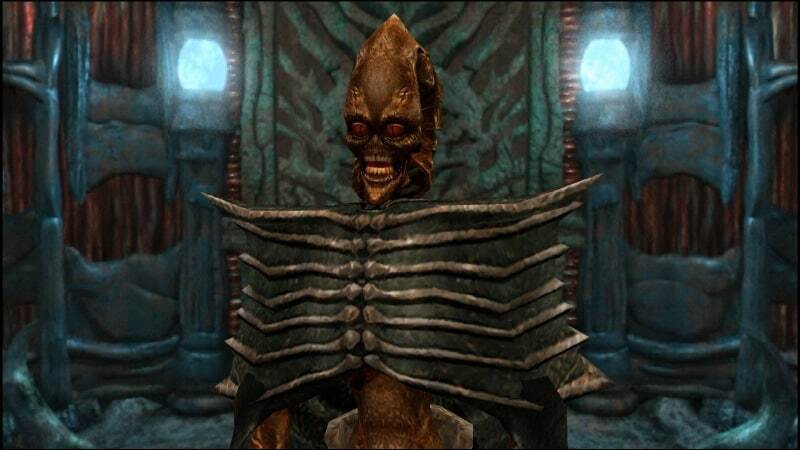 One of the demons you'll be encountering in Onimusha Warlords. Onimusha: Warlords is set in feudal Japan and has you in the role of Samanosuke Akechi, a swordsman tasked with rescuing a princess from an evil warlord. On the surface, it might seem like a premise that's done to death in video games, but the presence of demons, monsters. and undead ninjas combined with its Japanese setting give it a new lease of life. The game has fixed camera angles, so you'll always be seeing only a part of the area you're in at any given point of time. This gives enemies a bit of a headstart or even an opportunity to ambush you, adding a welcome element of surprise. However it manages to get annoying due to the abrupt jump the camera makes in the middle of the action. This sort of camera is a hold over from the early success of the Resident Evil games and found its way into the likes of Onimusha: Warlords as well as the ill-fated Dino Crisis too. It was a necessary evil during the game's original launch, but retaining a fixed camera angle in 2019 doesn't do it any favours. That said, Onimusha: Warlords has a number of differentiating factors that do give the game its own identity. Fixed camera angles limit your visibility in any particular area. The action is quite straightforward, which is what makes the game enjoyable in spite of the camera work. You have your regular attack, magical attack, and ranged attack. This combined with the blocking mechanism — which you should master as early as possible — is pretty much the essential of combat. There's no option to dodge as such, but you can quickly back-step to avoid hits. The thing is, you're not handheld through the combat or controls by the game so you have to get all this either by looking at the controller settings or just playing around with the buttons, which is as old-school as it gets. It doesn't have any tutorials whatsoever. Thankfully, mastering the controls doesn't take much time, and you'll be well settled within the first 15 minutes of the game. Speaking of which, Onimusha: Warlords isn't a very long game by any means. If you're playing in the Easy mode, which is unlocked right from the start in the remaster, you will be able to run through it in around 4 hours, depending on how quickly you can get through the puzzles. Like games of that time, you can save only at specific save points, which in this case are magic mirrors. This adds another layer of strategy to the game, since besides the save function, these are the only areas where you can initiate upgrades to your items and weapons. 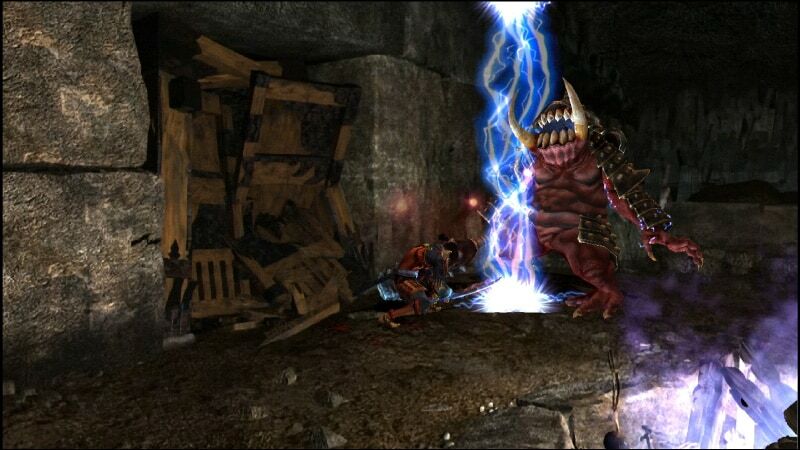 Onimusha: Warlords has some very interesting and memorable boss fights. Needless to say, finding a magic mirror and remembering where it's located can play a crucial role in the way you play and the areas you can access. For instance, we found ourselves revisiting the magic mirrors we unlocked to mow down demons (which respawn when you leave an area) as a way of getting more powerful early on. Killing enemies net you orbs that you can use to upgrade your weapons and access to newer areas depends on how many upgrades you have on your gear. While this tactic might imply the game is easy, this is far from the case. This is because Onimusha: Warlords will often increase the level of difficulty, putting tough to kill foes in your way. What's more, there's a tendency to throw unforgiving puzzles that result in an instant death can make progressing through it feel painful. These scenarios are few and far between but when they do show up, you will have no choice but to play through those areas multiple times until you figure it out. Puzzles also come in the form of cryptic chest boxes that contain important loot — the kind that will make the difference between life-and-death in certain situations. Onimusha: Warlords cutscenes still look pretty good. Seeing how nice Onimusha: Warlords looks on the Nintendo Switch, reminds us of how amazing the game's visuals were when it had first launched in 2001. The pre-rendered cutscenes look great even today, and the HD treatment to the visuals keeps it from looking dated. In both docked and handheld mode, Onimusha's visuals hold up well. Of course you can't compare it to today's AAA visuals or even the ground-up remake that Capcom itself has done on the Resident Evil 2, but the final results did look better in person than the impression we got from the initial trailer. It's fair to assume that Capcom wanted to test the waters with the reception of Onimusha: Warlords, rather than go all-out with a remake instead of the remaster. Either way, visuals is not an area we're complaining about. The English voice acting however, is one of the biggest examples of why Japanese games should only be played with Japanese voices. Just as it did back in the day, the English voice acting misses many emotional cues and is peppered with simple grammatical errors, which pull you out of the moment instantly. However in Onimusha: Warlords, you can switch the voice over to Japanese along with English subtitles to prevent this. Also worth noting is that the soundtrack is great, punctuating its dramatic moments and upping the ante when needed. The game has some great looking set pieces. 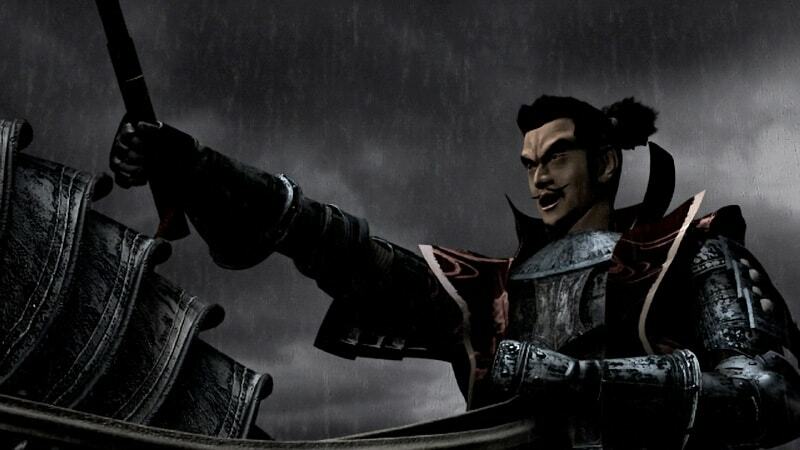 Onimusha: Warlords was pretty amazing for its time and a fresh playthrough gives us a refresher of why it has a cult following. The game attracts you with its simplicity and soon spins you into a deep and rich storyline with memorable events, bosses, and characters. The puzzles feel fresh in the era where you're not made to work too hard for solutions, and though the game will suddenly throw you into the deep end at times, you will feel accomplished with you get to the next save point. The Easy mode makes the game a lot more accessible for players who want to enjoy the story and puzzles without getting overwhelmed by combat. What will turn some players off is the fixed cameras and the overall lack of a tutorial or a hint system that modern games tend to focus greatly on. 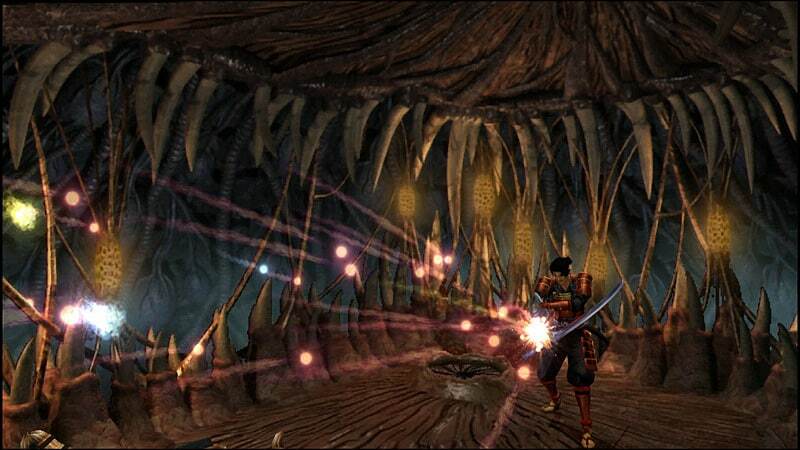 Still, if you're up for a (little bit of) challenge and want to see what the fuss is all about or even want to revisit the game 18 years after you last played it, Onimusha: Warlords has a lot to offer if you can put up with its limitations. Gadgets 360 played a review copy of Onimusha: Warlords on the Nintendo Switch. The game is out on January 15 for the PS4 and Xbox One for Rs. 1,660, and Windows PC for Rs. 1,499. It's $20 (around Rs. 1,400) on the Nintendo Switch. 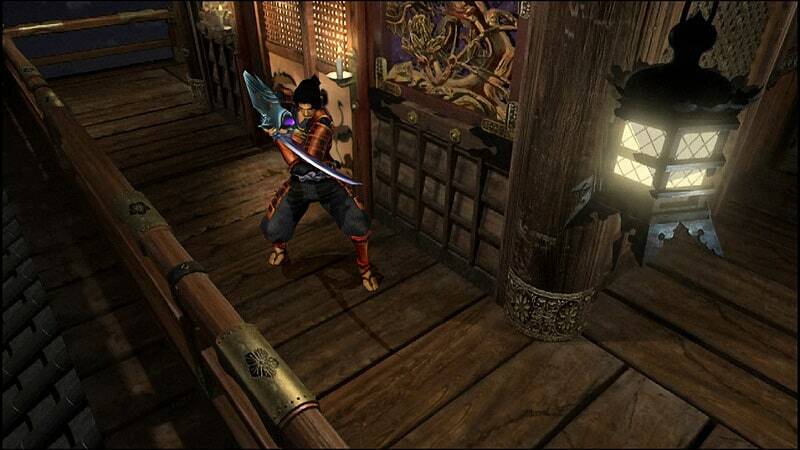 product Onimusha: Warlords is a brilliant game as long as you can deal with the clunky old-school mechanics.